If you are from Texas, you already know about Governor Hogg and his daughter. 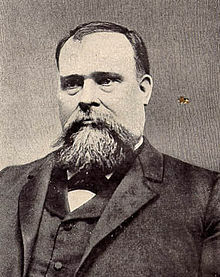 Before Hogg, governors had to be brought in from out of state; he was actually born in Texas and served during the 1890s. I heard about him when I was a very young child and immediately loved him because he named his daughter Ima. At the time, I didn’t consider how Ima felt about it; I just liked the sound of it. When I heard he had another daughter named Ura, I wished that my parents had loved me enough to name me Ura Hogg. Later I found out that Ura didn’t exist. I have lived with a broken heart ever since. Here’s what got me to thinking about Hogg. Yesterday, we saw a car with a license plate from Iowa. From deep within my brain, a wish came bubbling up; a wish that my last name was Lott and that I was from Iowa. Then my online name could be Iowa Lott. In the privacy of my own mind, I do this kind of nameplay all of the time. I once worked with a woman whose last name was Mennen. When she told me she had a grown daughter, I was quite excited. Before I could offer to be a matchmaker, she told me the daughter was already married. I dreamed of fixing her up with a man named Black. She would use a hyphenated last name: her maiden name and her husband’s last name. I imagined her wearing Ray-Ban sunglasses and a black suit to work. When people asked her name, she would answer simply, “Mennen-Black.” Had I been more careful about who I married, I could have had a name like that. There’s more, of course, but today is the first day of classes for this semester and I need to get there early. I always look forward to my classes. The people sitting in those chairs are not just students to me, they’re names. I have always had a fascination with last names and how they evolved. How does someone ever come into a really embarrassing last name? When I lived in Switzerland for awhile, and could translate some of the names, it was fascinating. It’s easy to figure out how a family came into the name of Schmid (Smith) or Taylor (tailor), but what about Knoblauch (garlic) or Schoenenberger (beautiful mountain)? What are the stories behind those names? Wow, your school is in session on Martin Luther King Jr. Day? On names: 1), Do you suppose she pronounced it “Eema”? What an excellent reference on a post that is Thurber-esque in it’s mastery and humor. How cool! Yes, we had our first day of school on Martin Luther King Jr. Day. Most schools around here were in session. I haven’t been able to find a definitive answer to how to pronounce Ima Hogg’s first name, but I always heard that is was with a long “i” sound. Online article all say she went by Miss Hogg. My husband went to school with a Peter Rabbit, who came from a very large family. Bahahaha, nice! I enjoy wordplay too. And I have no idea Ura didn’t really exist! I am not heartbroken as well. I grew up thinking she was real and didn’t find out until years later. You sure have a good time in that mind of yours! On a different note – looks like the folks had WordPress think you are doing more than typing over here at year-struck. Congratulations. I do have a good time in my mind – there’s so much room in it to play. Good thing you gave yourself a workout before the kids did! I remember hearing about the Hoggs. I thought there was a “Shesa” too, though. Folks are nasty. Me, I collect weird names of doctors. One of my favs, since we’re talking livestock here, is Dr. Perdue, who was in charge of bird flu at the World Health Organization. I never heard about “Shesa,” but I’m sure people have thought of a dozen or more possibilities. I like those collections of names and occupations: aptronyms like Mr. Hammer who owns a hardware store. Great names for doctors. Too bad they didn’t each have a twin: Chitty, Chitty, Bang, Bang. You make nameplay seem fun! Good for you! One of my college classmates married before graduation and hyphenated her name. Pretty sure I’d have opted differently than Mrs. Marion Berry-Pie. But I suppose I’d prefer that to being christened Banana Cream. Maybe. It does seem hard to be serious around someone named Berry-Pie. My good friend’s father-in-law is named Harry Peters, not kidding. I’ve always liked Ann Chovie, Pete Moss, Bill Fold and of course, Jim Nasium. I was getting worried. I thought you really believed Miss Ima had a sister named Ura. Loved this one, too. May I take your class? My class is for English language learners, so you could teach it! What are you studying? Or are you teaching? I’m teaching English, but perhaps I should be studying it. I would include having an interesting name in your list of what you want in a man. I’ll try to be here. I’m working on a project with a Dr. Doctor. I have to constantly remind myself that he’s probably already heard any joke I could possibly think of. I bet he has heard just about everything. Imagine when he is sick and you have to talk about Dr. Doctor’s doctor. I don’t know the meaning of Ima; it may well be mother. 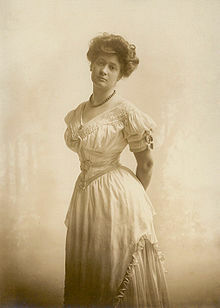 Ima Hogg was named for the heroine of poem that her uncle wrote. It’s fun to make up crazy names for your kids, but in real life it would be too hard on them, I think. Orson Cart is a cute name, though. I love this so very much. Being from Texas, I do know the sad story of the naming of Ima Hogg, but your rendering of it is *so much funnier*. It takes a special kind of person to do name play well, which means you’re probably great at wacky place names also– a hard thing to do well. I wish more novelists had this one in hand, as you do. Your last line killed me. I’m giggling like a fool right now, Yearstricken. So happy! I like your word choice there of rendering since we are talking about Hoggs. It reminds me of something Francis Bacon might say. You are always so encouraging, Courtney, and I’m glad you enjoyed the post. That is really funny. What a sick sense of humor the old man had. You have to wonder what was going on inside his head. I love all of those names. I wonder what it is like to live with those kinds of names. Thanks for your comments. Your posts are funny. 🙂 Thanks for making me smile. I used to work with a lovely young woman with the name, Candy Kane. She must have planned accordingly, because she married into that moniker! If my name were Candy, I would have spent my whole life searching for a Kane, too. I once knew someone named Candy Bahr. (I’m NOT kidding.) Very sweet woman. Wonder if she and Candy Kane were acquainted with one another? Amazing what parents will name their kids. I wonder if they were both sweet women.